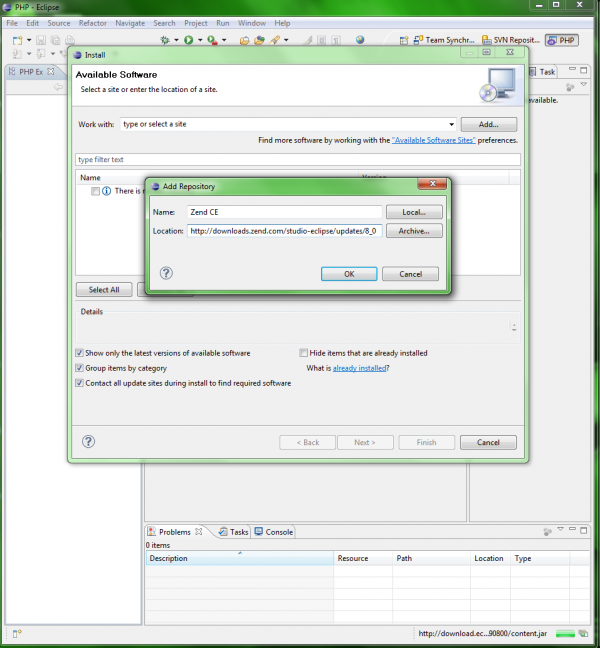 If you choose 64 bit version be sure that your jre version is also x64. On you first app launch run update. So check for updates and update! If it’s not in the list, then add it by clicking on “Add” button or find it among other repositories on “Avaliable Software Sites” link. 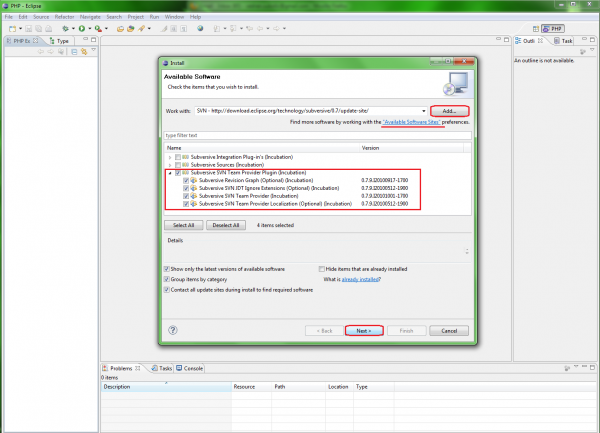 Select (check) Subversive SVN Team Provider Plugin (Ioncubation) and finish install process. 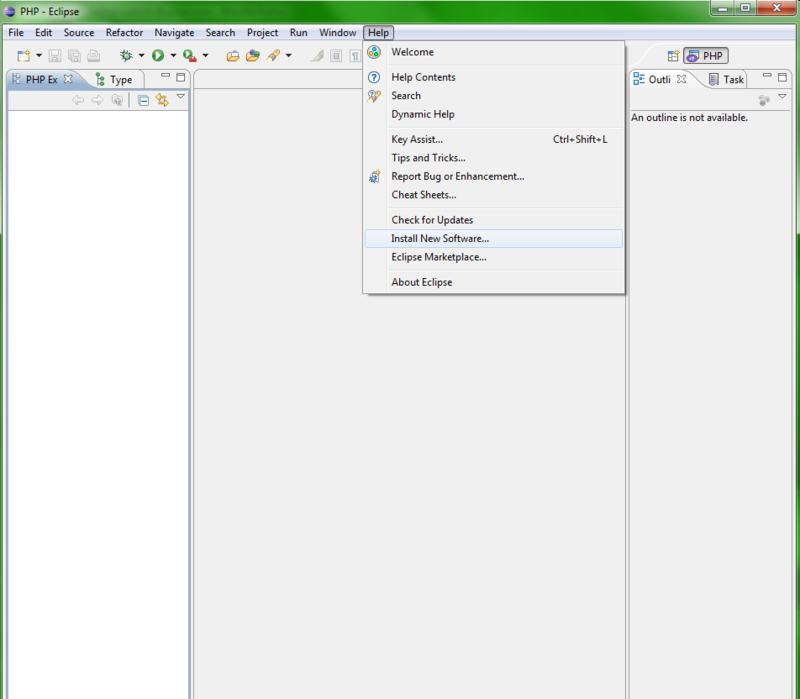 Now you are ready to have all your projects in eclipse syncronized with SVN. 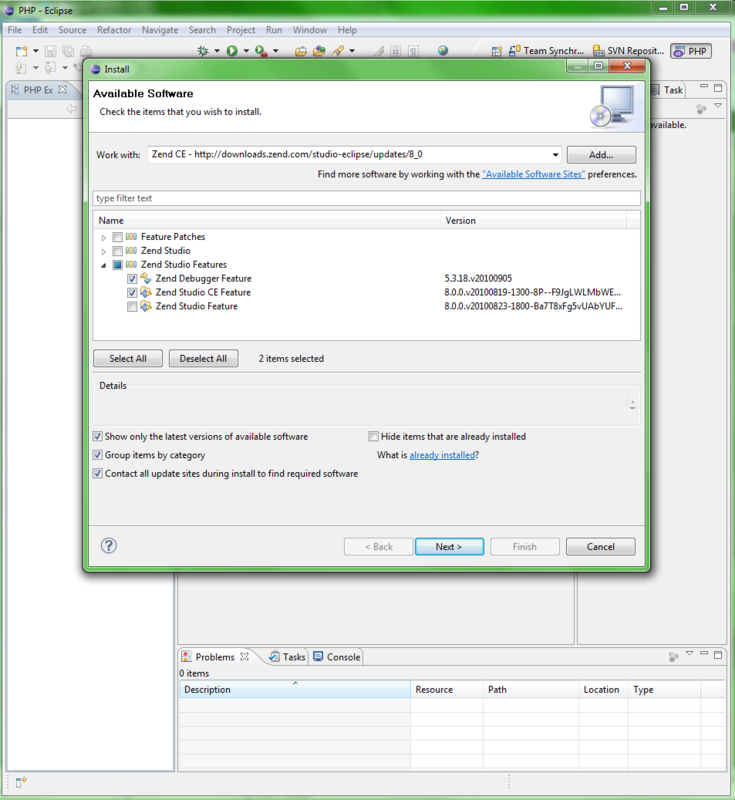 If you are working with Zend Framework and wish to have Zend Framework perspective enabled for your projects you can install additional plugin for you eclipse. 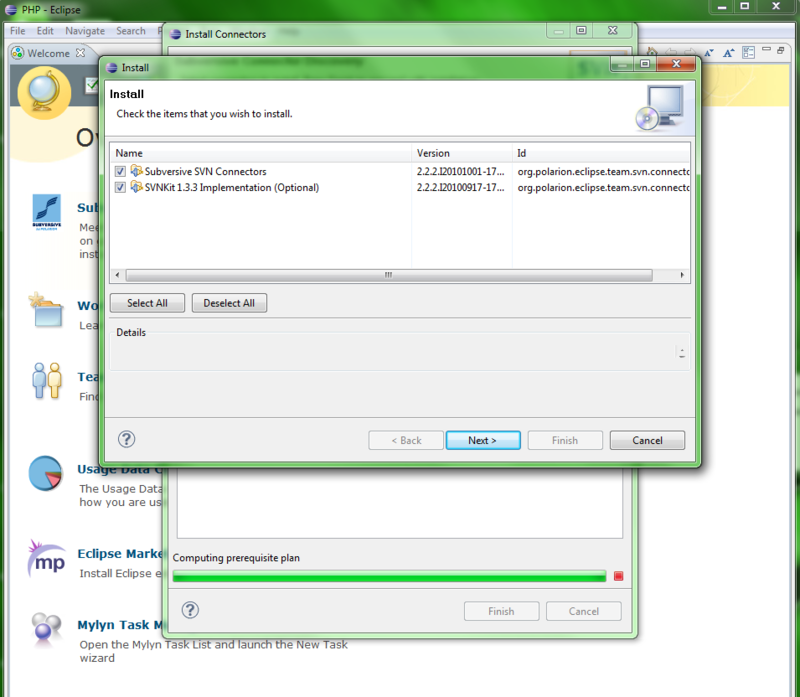 Finish install process, restart eclipse if needed. you are ready for developing your zend framework projects. Tks! Very very very good. Nice tutorial, but I’m missing the part on HOW to work with SVN/Zend/Eclipse. 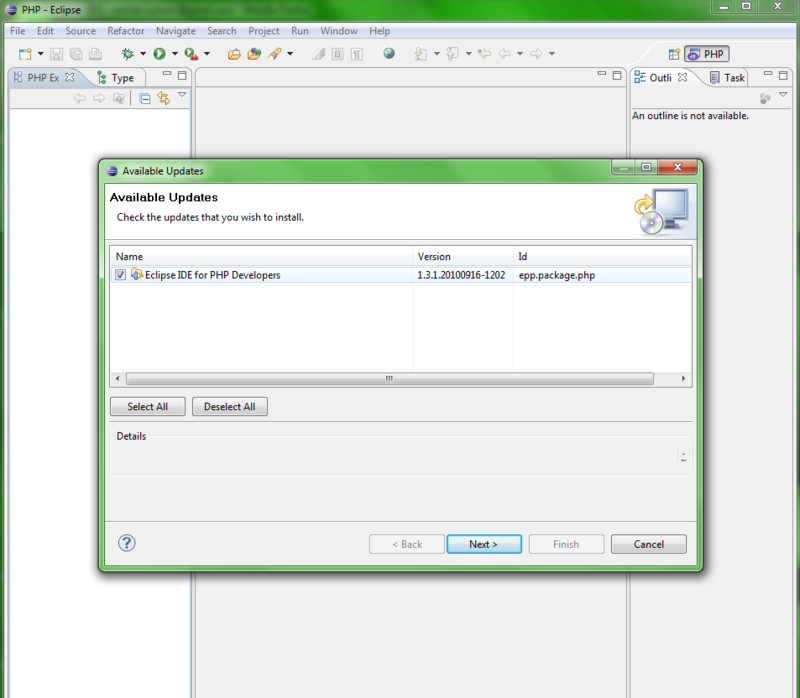 I use for developing with Zend Framework and other phpstorm ;). eclipse is to slow on my machines and to complicated for configuration. Above error with 7_1 but with 8_0 of zend I got “An error has occurred. See error log for more details. Great article , I have tried all the steps exactly but keep running into error at very first step after installation all done. Project creation wizard. 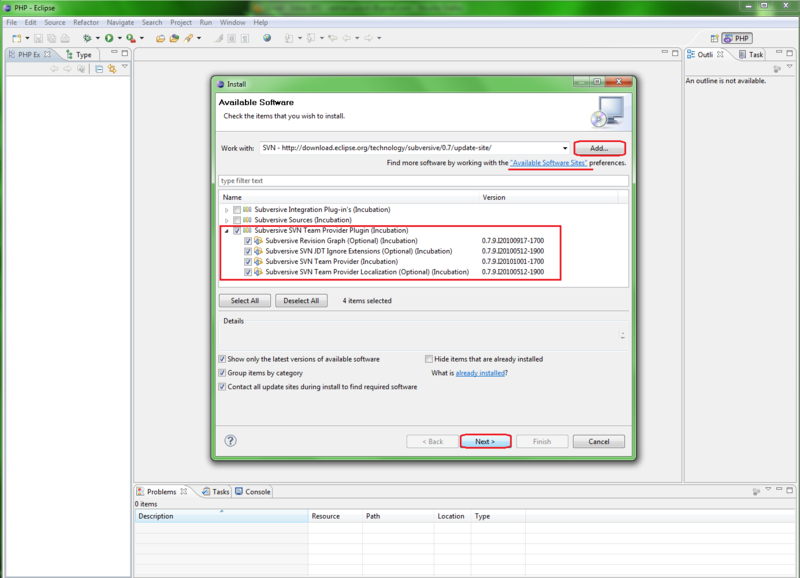 When I choose zend frame work project nothing happens. If I choose new project , then from the New Project wizard then expand the php then double click on the Zend Framework I get the error as “An error has occurred. See error log for more details. Zendframework support good that ? You’ll probably need to choose latest version of ZF plugin. can you tell me if these steps are working nowadays?? 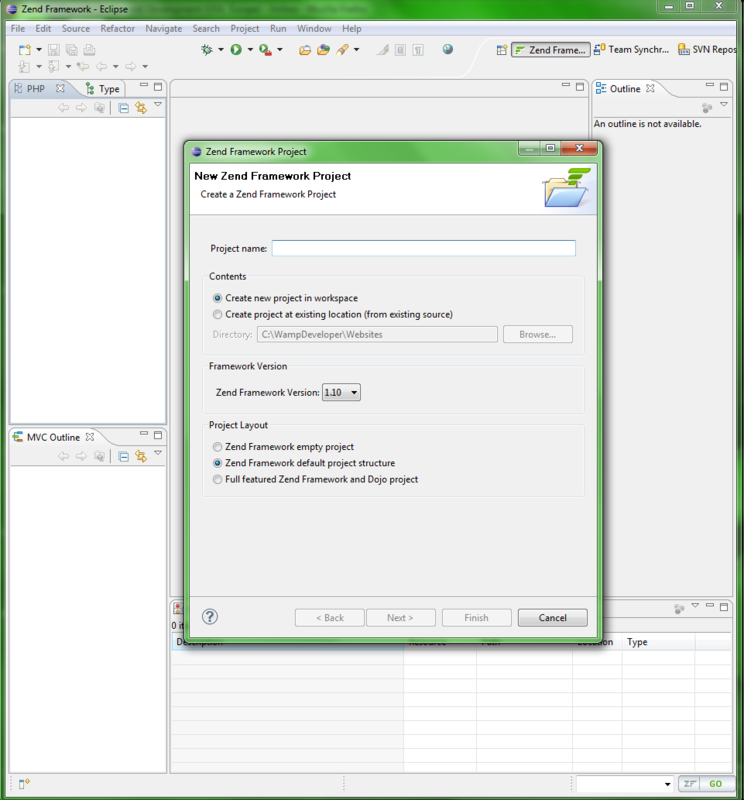 i tried, but i can’t create a zend framework project.. any other item works fine. I need to create the project with zf? But I’m using different svn plugin and I prefer to use XDebug. 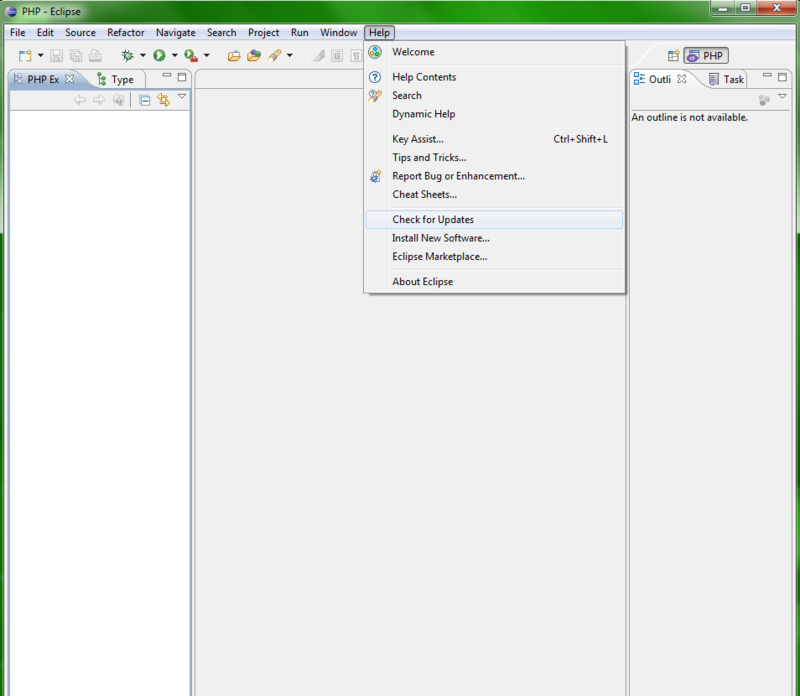 It should appear when you restart your Eclipse or when you open SVN perspective. 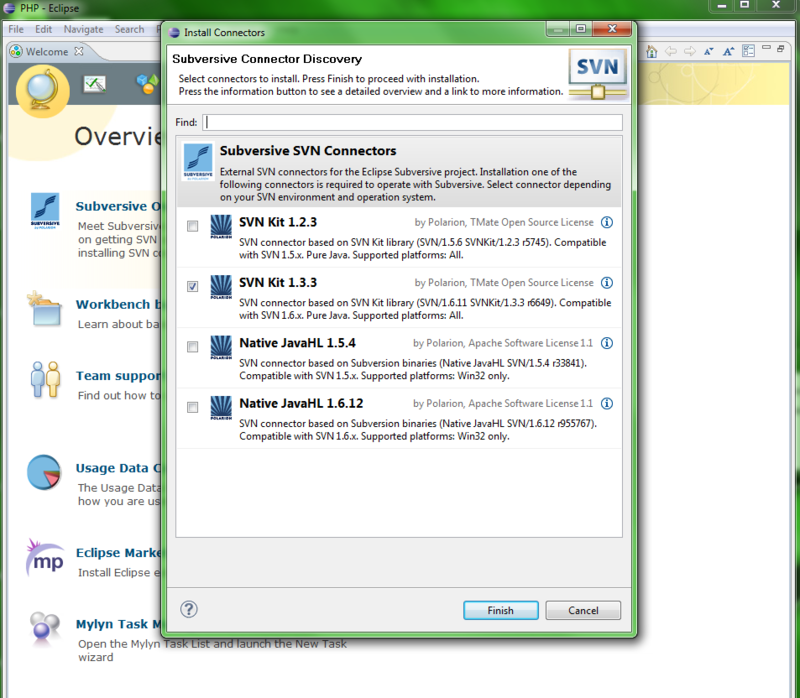 After installing the Subversive SVN Team Provider Plugin and restarting, the Subversive Overview page appears. It seems you are missing a step – How do I get the SVN Connector window to appear?